I think television production is a pretty good fit for me. I have spent most of the last few weeks, too-ing and fro-ing back and forth to the CMAC studio, or on the telephone, sending e-mails trying to co-ordinate, guests or pick-ups of books and talking to directors. I must say it has been fun really, really it has been. It is quite difficult to juggle two programs at one time. 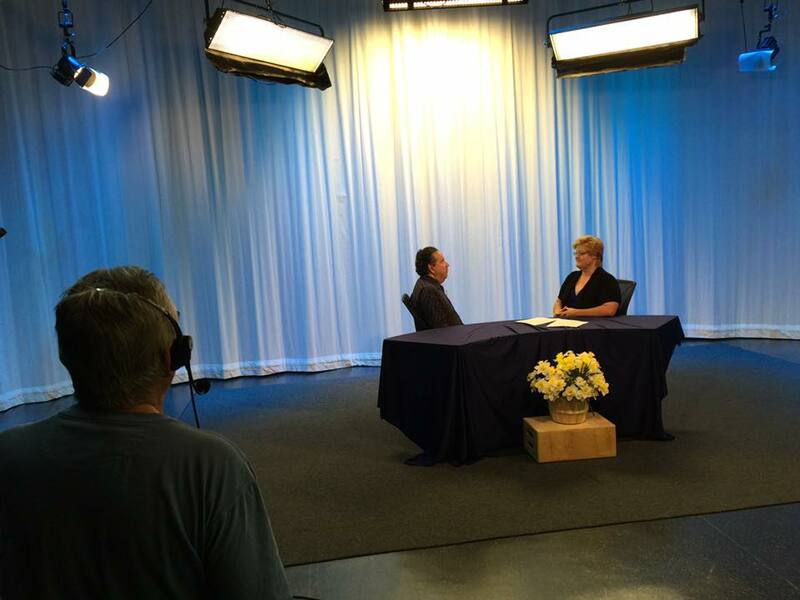 We recorded program two of 'Blindside Fresno' on Tuesday last week. During his interview he talks of his schooldays and also of training to become a chef. Also there is a discussion about the role of technology in the life and day to day living of the blind and visually impaired. Nathan was a great guest and wI very much enjoyed his contribution to the show. Darcie and I, had also worked on streamlining the program production a little. In the initial program I had not done enough work in preproduction and this left a lot of work for my editor, Kiko, to do in post production. This time we went to preproduction with a more serious purpose, do as much as we could before the program recording to cut down on the more laborious job of editing in post production. This seemed to work, we created breaks in the show, had nice timed segments which were more easily trimmed to create a more full conversation and we made templates to make creating end credits much more easily accessible after the recording. This cut our editing time from days to hours. Proof that it is not making mistakes that is a problem. The problem is not learning from the mistake in the first place. While all this was going on, I was also planning the next program too. So in the latest update, we have now submitted the Nathan Romo interview for broadcast round August 16, that program will be available to view on my YouTube Channel after its broadcast on CMAC. The recording of the interview with Olivia Ostergaard will take place tomorrow, that program is planned to be broadcast in September. Then in September I plan to record a program that looks at the challenge of being a blind parent. It looks like a full and exciting few weeks as the calendar fills with new shows. Life as a TV producer is fun.